We are reminiscing here at CSE on what a fantastic year we have had and how lucky we have been to have had the opportunity to provide catering equipment for such a wide range of businesses, organisations and individuals this year. Check out some of our pics from this year’s events! From catering for a Royal Afternoon tea with H.R.H. Prince Charles and Royal visit to Picton Castle by H.R.H.The Queen to mammoth size breakfasts for over 1000 competitors for Iron Man Wales! 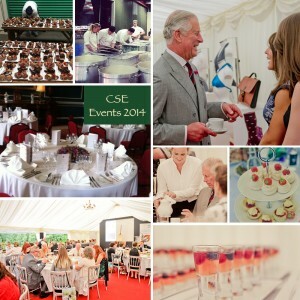 Our plates, cutlery, glasses and catering equipment have been part of some of Wales’ most popular and memorable events of 2014. Thank you so much to all our wonderful clients!